Do DRM-free iTunes tracks retain personal information even after conversion? Apple is under fire. DRM-free tracks bought through iTunes would seem to retain information about the person who bought them - even after the files have been converted. Several blogs have picked up on the issue, which emerged after Apple announced the iTunes Plus service yesterday. This is the same personal information that is already found embedded in any DRM-protected song bought from the store. Of course, the addition of personal information would appear to be designed so the tracks don't start appearing on file sharing networks. Tracks have the full name and email address of the purchaser embedded within. However, the Electronic Frontier Foundation has further investigated the information found. It's discovered that, while there is no personal information residue left if you convert the files, there is a disparity in the file size. So there is potential for personal information to be carried over. "We compared two DRM-free copies of the track Daftendirekt by Daft Punk. When decoded to PCM/WAV data, both copies produced an identical audio signal...so there is no audio watermark. But one of the .m4a files is almost 360K larger than the other!" The site says that "some of them have an intriguing amount of structure... There's a region (see around offset 0x11470 in the Daft Punk track for example) where the files contain what look like tables with sequential indices but different data in the table." Of course, the natural deduction is that there is a hefty chunk of iTunes data in these files - we'll bring you more on this story as we investigate further. EMI's better-quality, DRM-free tracks cost 99p instead of the 79p charged for most iTunes tracks. 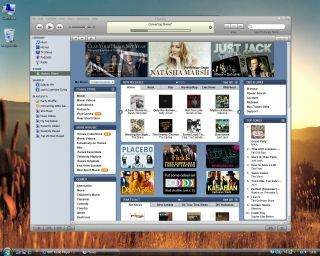 The DRM, or Digital Rights Management is enforced by an Apple technology called Fairplay, which stops the tracks from being copied onto devices other than Apple's iPod. Apple has yet not made any comment on the findings.